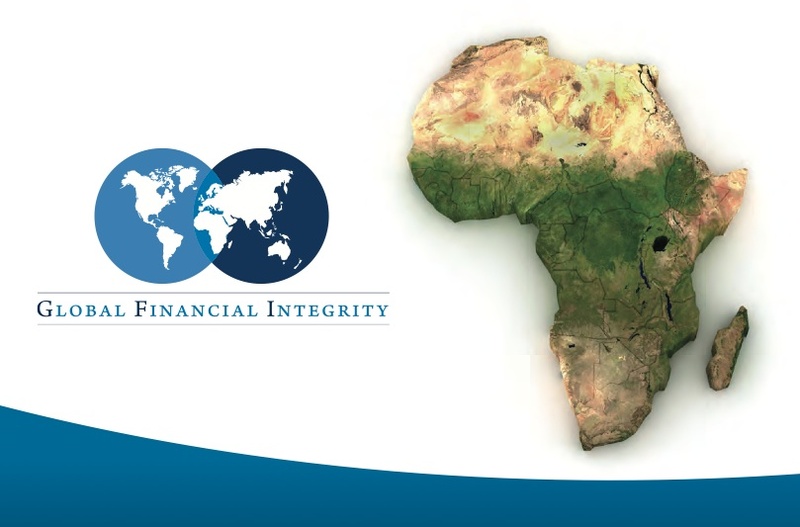 Global Financial Integrity in Washington have produced a new study, entitled $854 Billion Removed from Africa by Illicit Financial Flows from 1970 to 2008. The figure is clearly compatible with a different study, using different methodologies, from the University of Massachussetts, Amherst, estimating a stock (including imputed interest earnings) of $607bn drained from Africa from 1970-2004. The GFI news release accompanying the report reads as follows. WASHINGTON, DC - Africa lost $854 billion in illicit financial outflows from 1970 through 2008, according to a new report to be released today from Global Financial Integrity (GFI). Illicit Financial Flows from Africa: Hidden Resource for Development debuts new estimates for volume and patterns of illicit financial outflows from Africa, building upon GFI's ground-breaking 2009 report, Illicit Financial Flows from Developing Countries: 2002-2006, which estimated that developing countries were losing as much as $1 trillion every year in illicit outflows. The new Africa illicit flows report is expected to feature prominently at the 3rd Annual Conference of African finance ministers in Malawi, which is currently underway. "The amount of money that has been drained out of Africa-hundreds of billions decade after decade-is far in excess of the official development assistance going into African countries," said GFI director Raymond Baker. "Staunching this devastating outflow of much-needed capital is essential to achieving economic development and poverty alleviation goals in these countries." "This report breaks new ground in the fight to end global poverty with analyses and measurements of illicit financial outflows never before undertaken," said Mr. Baker. "As long as these countries are losing massive amounts of money to illicit financial outflows, economic development and prosperity will remain elusive." "The drivers of illicit financial outflows vary from country to country but overall transparency in the global financial system would curtail all forms of outflows by making it harder for money to disappear once it exits the country," commented Mr. Baker. "When the G20 meets in Canada this June, the problem of illicit financial flows must be at the top of the agenda." GFI recently launched the G20 Transparency campaign to enable people around the world to take action on the problem of illicit financial flows. To sign the G20 transparency petition, which will be presented at the G20 meetings in June, go to www.G20Transparency.com or visit www.GFIP.org. Click here to download a copy of the report." The only way to stop this is to force african countries to become democratic. But saddly, developed countries and the UN only intervene when their interest are in danger. Elections with frauds should be repeated. But nothing is done. France for example is champion in this illicit financial tranfer.